Designed to stand up under the wear and tear of a long season. #1 duck with extra strong nylon bottom and top. 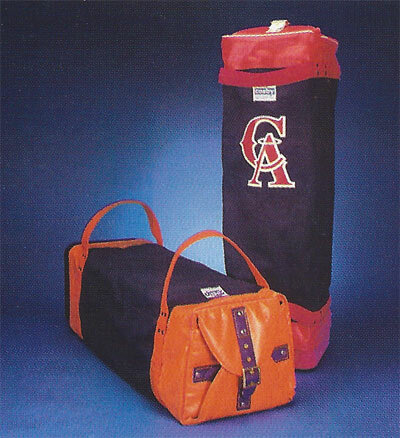 Bottom and top carrying straps on both ends can be made to match team colors. Available with the original belt top as shown or the new U-Shaped zipper top.